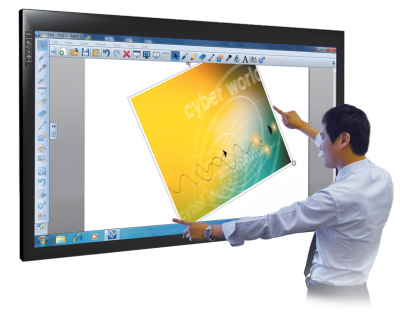 2Touch Interactive LED Displays lead the category with clean design and superior functionality, at a price anyone can afford. LED displays from leading brands such as LG and Samsung are combined with the best multi-touch technologies to provide natural finger-touch interaction with any connected computer. With 2Touch interactive displays, our design qualities ensure that your touch interacts perfectly on-screen: no parallax, no lag, no calibration requirements, no errors. We specify non-glare safety glass surfaces for the best display quality in any light situation. Furthermore, with 2Touch devices no special software is required to connect any computer to the interactive display: just plug, touch & go! 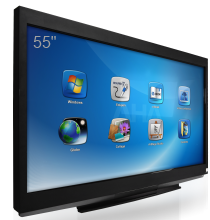 A full range of sizes from 55″ through 84″, and choices of display resolution (either full High Definition HD or Ultra-High Resolution UHD or 4K) is provided to meet every need.